In the West we tend to think of Reiki as a gentle healing modality rather than the spiritual path originally taught by Mikao Usui. The Pause in Joy philosophy teaches the methods of Usui while focus student’s energy towards living a joy-full rich life they came here to create. It is only when we deviate from our own truths, our own connection and knowing that we feel spiritually lost. Here at Pause in Joy the awakened seek a prosperous rich life spiritually, mentally and physically allowing us all to be the joy bringer within our community, family, friends and colleagues. Sounds easier said than done as we are not hard wired for living a natural joyful life without sabotaging or destroying along the way. Knowing the subtleties of energy and how it effects your breathing, central nervous system to even how you think or process is more important today than ever. The sheer amount of information a human processes in comparison to other generations is staggering but also depleting. Your focus and belief is an extremely valuable commodity whether you know it or not. Prana, or ki energy goes where the focus goes whether you agree or disagree on what is being observed it has yo ur attention now all it needs is for you to believe its true. Science is now in agreement with what we know in Ayurveda or Yoga. Our physical well-being does not stand alone but a combination of our emotional intelligence and spiritual balance. Less stress leads to a healthier immune system but first you must consider the stress in your life and your allowance for its existence. Some choose to willfully ignore the problems and situations until they can no longer be ignored. Perhaps its the decision to stay in a relationship, job or body they hate by proceeding silently towards despair than opening to the possibility of something amazing and new. This path is not for the fainthearted as we look for the beauty, the joy and the truth but we need to clean the ugly, the bitter and resentful parts that have not been heard. We are all addicts, addicted to our narrative and it is in that narrative that a psychic phenomenon needs to occur to produces the awakening. Rei- is Spiritual Conscious Energy, ki- is the life-force energy within us and around us; together they are an astounding happening that changes your life forever. 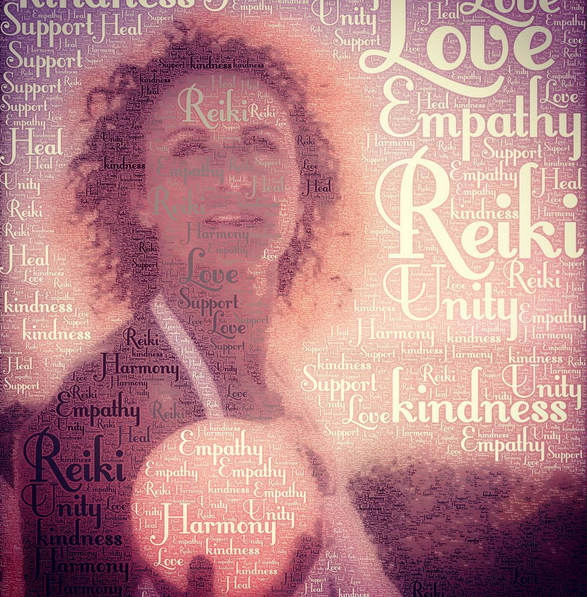 So, to say that Reiki produces a healing that balances the body’s natural energy system to flourish and emerge is an understatement if you ask Patti Penn. A treatment can place not only your body but you mind and soul into a state of suspended animation to reboot, restore and rejuvenate itself as the bio-energy directs the spiritual conscious life-force energy. As a force in your life it will force you to live a life of truth, of unimaginable creativity, of illuminated courage and unapologetic joy. You are now asked to be a participant in your life on the court rather than being a spectator playing safe. Your practicality is often a mask for unrecognized or ignored fears that really are opportunities for growth, for release and for the unification of your higher-self and ego working together, finally. I look forward to you listening to your subconscious as its guided you this far the rest is now up to you.